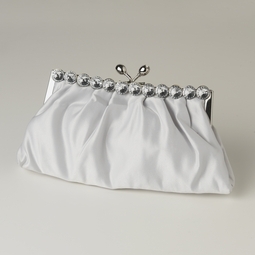 Description: Beautiful and classy this silver satin evening bag is everything you've been looking for. 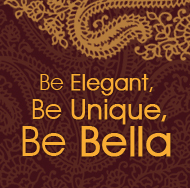 Silver plating embellished with round clear cut sparkling rhinestones truly adds a spectacular shine for your evening! Kiss closure also embellished with rhinestones opens to a side pocket and chain that can be used with or without for an easy over the shoulder bag!